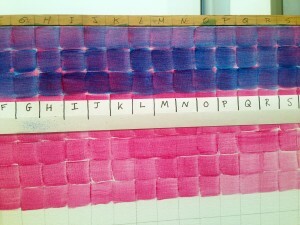 Social Life Magazine presents an exclusive interview with Chuck Close. 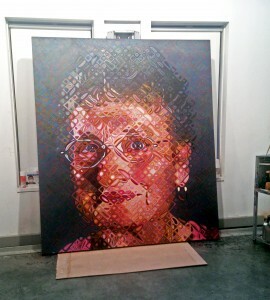 Chuck Close has exhibited in hundreds of renowned galleries, institutions, and museum shows worldwide, including MoMA and the Metropolitan Museum of Art. The artist has received countless honors and awards, including the National Medal of Arts, presented by President William Clinton in 2000, and over twenty honorary degrees. Born in Monroe, Washington, on July 5, 1940, Chuck Close is perhaps best known for his portraits, and his association with the Photographic Realism movement. Close graduated from the University of Washington in 1962 and received a Master of Fine Arts from Yale University’s Art and Architecture School in 1964. He also studied at the Academy of Fine Arts Vienna on a Fulbright grant before moving to New York City in 1967. He currently lives and works on Long Island. 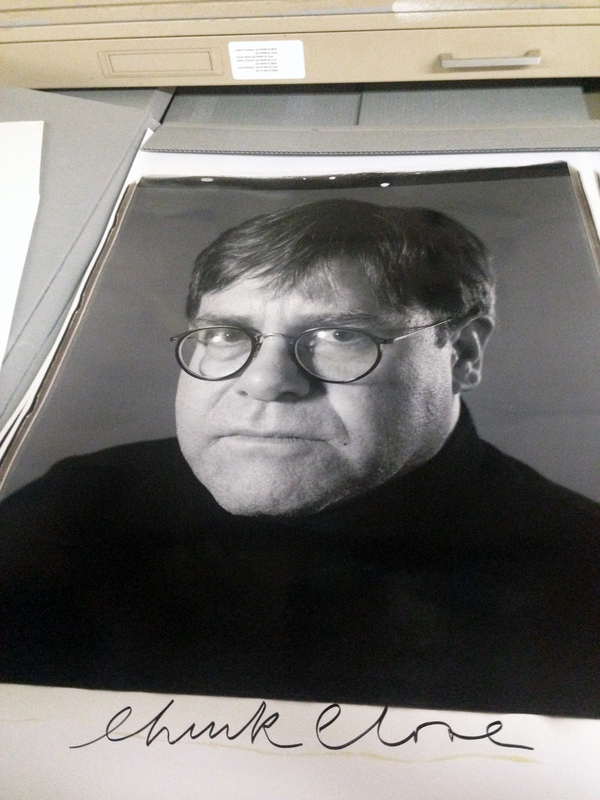 Kevin Berlin: Art advisor Eve Xanthopoulos described you as a mentor, a father figure, and a best friend. What is the importance of your working relationships? 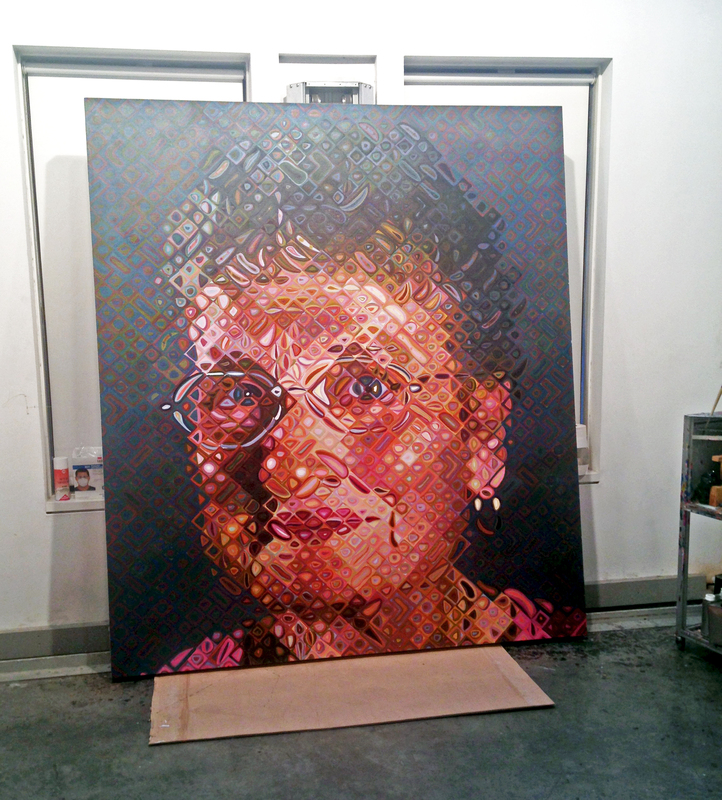 Chuck Close: Well, I’ve been fortunate enough to have really wonderful people around me. My assistants stay with me for decades. My nurses too — they’ve worked with me since 1988. They are very loyal people and important relationships. KB: Eve said that you have recently been working on the Obama project. Can you tell me about it? CC: The Michelle Obama project. Well, I am a member of the President’s Committee on the Arts and the Humanities. We are trying to figure out what to do. So that a little bit of money — because we are not going to get much from the government — and a lot of sincere effort might make a difference in the most underserved communities and the lowest performing schools. So we picked ten schools around the country. One is on an Indian reservation, some are urban like in Washington D.C., some are in the country, and I picked Bridgeport, Connecticut, one of the most depressed cities on the Eastern seaboard. And my school is virtually all black, and they were at over sixty percent truancy every day. Kids weren’t graduating. The kids who made it to school were disciplinary problems and were sent to the principal’s office. It was in big trouble. So, the committee got a music teacher and musical instruments from some musical instruments suppliers. There was no music or art in this school. And we got art supplies and an art teacher. Within one year, they had a band, an orchestra, a choir. They were making art — painting. They got a kiln — making ceramics. And all of a sudden, all of the parents who used to only show up for basketball games or something like that, now all the sudden they are coming to school. And they get their kids out of bed in the morning, and make sure they get to school. It’s unbelievably moving. KB: That’s an amazing start. CC: Most of these kids are learning disabled, and have other kinds of problems, a lot of broken homes. All of a sudden, kids who were never good at math, or science, have something they can excel at. And every kid needs to feel special, and if they can feel special in art or music, they’re not going to drop out of school. And if you don’t offer them something they can succeed in, they will drop out of school, and they’ll become a drag on society for the rest of their lives. We have to get these kids to at least graduate from high school, and then hopefully go on from there. But they’re such an amazing bunch of kids, so I’m doing a project with them right now. Tomorrow they are coming to my house in Long Beach. They’re photographing each other with a big Polaroid camera, and they’re going to go back and paint portraits of each other. The poet Bob Holman is going to talk to them about making praise poems in the African tradition. In Africa, poets come to town and they’re hired to write a praise poem. You are eulogized when you are still alive. You don’t have to wait until your funeral to hear it. So, the idea is to do a portrait of your friend in two ways, a photograph and a painting, and then write a poem. And they can talk about what they like about their friend, and maybe sometimes things they don’t like. We are going to go, in about twenty days, to the White House. Michelle Obama has invited them to come down to show their paintings and photographs, and recite their poems. So it should be a lot of fun. KB: Fun, and also big impact. When I was in high school in Maryland, the principal of the school would always pay attention to the sports teams doing well, but never to the achievements of the art department. CC: I was so learning disabled, and face blind, and everything else. I grew up in a poor, white trash, American little town in the state of Washington. But we had art and music as a guaranteed right from kindergarten through high school. If I hadn’t had that, I would have dropped out of school. So, you know, we are just trying to recreate what every kid got in the ’40s and ’50s. But you have to do it artificially now. KB: It’s funny how we are going, in some ways, backwards. What is important to you about impacting people’s lives? I know you have worked with people from all walks of life, even celebrities. CC: You know, when I was a kid, I was raised in a religious Protestant family, and even though my parents had no money at all, they tithed ten percent of their income. It was really rough to give that up, and I don’t believe in God, and I don’t like most organizations, and most anything else. But I do believe in giving back. The art world has been very good to me, I do what I want to do every day of my life and I make money doing it. Not that I care about money, but it does help. I consider myself one of the luckiest guys in the world. Even though I’m paralyzed — my hands don’t work, I can’t walk, and I sit in a wheelchair — I still think I’m extremely lucky. So that’s something that I enjoy sharing. My dad died when I was 14, my mother died young, and I’ve had lots of problems. I became a quadriplegic, I had colon cancer, I almost died of pneumonia this year, so I am about survival. One of the things I learned early, when my dad died, was that there was a gift in that. And the gift I learned at a very young age was that the worst thing can happen, the thing you fear most, and you will be happy again. And once you understand that, you don’t fear the future. You know you can go through anything, and you will come out at the other end and be happy. So, I never had a moment’s pessimism in my life. KB: Do you have a philosophy of every day? Every morning when you wake up is there something particular you think about? CC: When I was in the hospital, and lying there paralyzed from the shoulders down, and there was no indication that I would be able to move my arms or do anything, that first day I remember saying, ‘I am not going to have a single day in my life in which there isn’t pleasure.’ I don’t want to go to bed without having a pleasurable experience. And that really changed my life, to make sure that something wonderful happens every day. I think when that is happening, you can’t be that pessimistic. KB: Some of the work you are best known for is frontal, large scale, and focused on the portrait. Many of your contemporaries moved away from figurative work. What is it about the portrait that is so exciting, that still excites you today? CC: Well I am glad Cézanne painted apples and Morandi painted bottles, but I am not interested in those things, and I care more about people than I do about anything else. So, I can’t think of anything better to paint. I spent a good amount of my early life working abstractly, and I’d make the same marks over and over, and mix the same colors over and over. So I found it very liberating to have something specific to paint. KB: You’re living these days a long way from where you were born. Where do you live now? CC: I actually just moved out of New York. I just moved to my house on the beach in Long Island, 45 minutes from the city. I bought a house on the water, and it’s the same ocean as the Hamptons, for a fraction of the cost. It’s close enough for me to come into the city, and to the hospital and my doctors. And I live half the year in Miami, and I am going to live in Alaska, probably once a year. I can still come into the city, but I don’t like the weather anymore — it’s going to kill me. KB: Any inspiration or ideas for a young artist, maybe some advice and some thoughts? CC: I always say inspiration is for amateurs; the rest of us just show up and get to work.